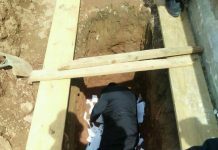 It is with great sadness that Matzav.com reports the passing of the Bostoner Rebbe of Bet Shemesh, Rav Chaim Avrohom Halevi Horowitz zt”l. The Rebbe was in his eighties. This past week, the Rebbe traveled to the United States to participate in the wedding of his granddaughter – a daughter of his son, Rav Yisroel Yonah Horowitz of Boro Park – and, during his visit, suffered a heart attack. He was hospitalized at Jersey Shore Medical Center in Neptune, NJ, and was greatly cared for and looked after by his cousins from Lakewood, NJ, Rabbi and Mrs. Yosef Krishevsky. 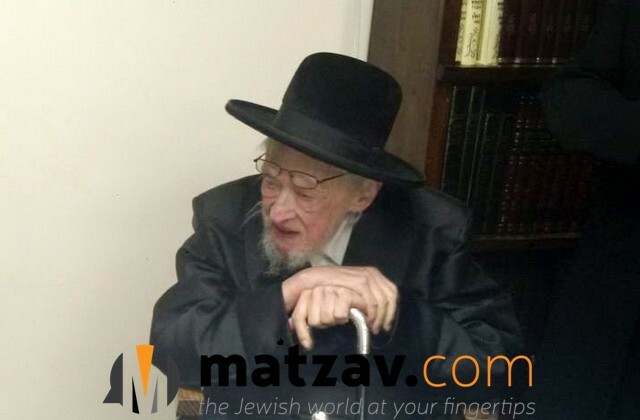 Matzav.com had spoken to a family member earlier this week and was informed that the Rebbe had been improving. Unfortunately, his condition deteriorated late Thursday and he passed away a short while ago. The Rebbe was a son of Rav Moshe Horowitz, Bostoner Rebbe of New York, and a grandson of Rav Pinchos Dovid Horowitz, the first Bostoner Rebbe. Rav Pinchos Dovid first arrived in Boston in 1915 from Eretz Yisroel. In 1939, he left Boston and moved to Brooklyn, NY, where he opened the Bostoner Beis Medrash of Williamsburg. After his petirah in 1941, his older son, Rav Moshe, Rav Avrohom’s father, succeeded him in New York, while Rav Pinchos Dovid’s younger son, Rav Levi Yitzchok, moved back to Boston in 1943 and built his bais medrash there. In his younger years, Rav Avrohom learned at Beth Medrash Govoah in Lakewood, NJ, under Rav Aharon Kotler zt”l. Rav Avrohom’s father, Rav Moshe, founded the Bostoner Bais Medrash of Crown Heights and the Bostoner Bais Medrash of Boro Park. In 1985, upon Rav Moshe’s petirah, Rav Avrohom, as his eldest son, succeeded him as Bostoner Rebbe of New York. In 2006, Rav Avrohom moved to Beit Shemesh and established his bais medrash there. 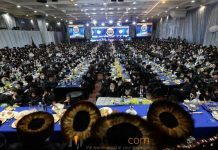 The Rebbe was a beloved figure in the community, recognized for his deep-seated yiras Shomayim, his boundless ahavas Yisroel, and carrying on the mesorah of his illustrious forbears. The Rebbe’s children include Rav Yaakov Horowitz, Bostoner Rov of Lawrence, NY, andRav Yisroel Yonah Horowitz, rov of the Bostoner Bais Medrash of Boro Park. The levayah will be held at 9 a.m. at Beth Medrash Govoah, located at 617 6th Street in Lakewood, NJ, and then at 12:30 p.m. at the Altshater Bais Medrash, located at 1541 52nd Street in Boro Park. I believe he composed some nigunim back in the day that are still being sung.